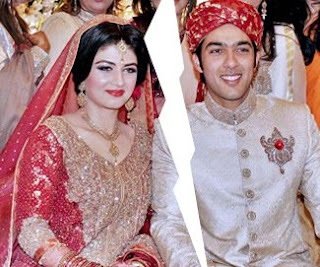 Aisam Ul Haq Qureshi and Faha Makhdoom Divorced? There are news in the air that the ace Pakistan tennis star Aisam ul Haq Qureshi, who was married to Faha Makhdoom, a London based professional, in a dream marriage in Lahore last year have been divorced. There have been no confirmed news. But it is being reported on the internet and social media networks that Faha Makhdoom has sent divorce papers to Qureshi for signatures. While some report that the papers have been signed, while others report it otherwise. However, on report says quoting Qureshi's father that the news of divorce are incorrect. We shall keep you posted as and when authentic news are available.